Finally, the corporate giant Monsanto, an organization that has hailed itself as the answer to global food shortages and is “working to help farmers grow food more sustainably” has been outed and is currently facing backlash after a near $300 million lawsuit was settledproving that glyphosate, the active ingredient in the RoundUp herbicide, causes cancer. The company was found guilty of malice and covering up the fact that their most popular product does indeed cause cancer. This is great news, however, as this story was too big to be kept from the mainstream. Many are starting to wake up to the fact that Monsanto isn’t as safe of a company as they would like you to believe. Despite years of mounting evidence that glyphosate is carcinogenic, Monsanto has been able to deny the fact, stating that no products contain a high enough level to pose a risk, failing to acknowledge the cumulative effect within the body. 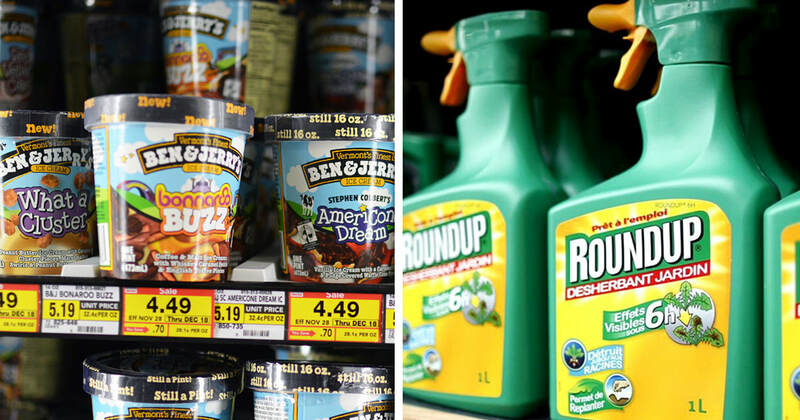 The issue is, it can be difficult to know exactly which products are genetically modified, and thus are likely to contain Monsanto’s Roundup herbicide or some form of glyphosate. In the past, a safe bet was to be sure to purchase only organic products; however in recent years even certain brands of organic foods have been compromised as glyphosate has been found in some of these as well.